Social Security has a different way with which to deal with eye sight issues and disability. The Social Security Act has its own definition of "statutory blindness." 42 U.S.C. 416 and 42 U.S.C. 1382c set out the definitions of statutory blindness. In order to be considered blind and therefore qualified for disability benefits, the central vision acuity of the person must be 20/200 or less in the better eye with the use of a correcting lens. (Listing 2.02) An alternative criteria to meet the definition of statutory blindness is a finding that the "widest diameter subtending an angle around the point of fixation" is not greater than 20 degrees. (Listing 2.03 A) There are few additional matters to keep in mind. First, the field staff at the local Social Security office is trained to identify persons with sight problems by relating a particular disease to potential vision loss. The reason for this is because a person with sight issues may not identify as being "blind." Instead, the person may say that he or she has cataracts, diabetic neuropathy, glaucoma, macular degeneration, retinitis pigmentosa or tunnel vision. 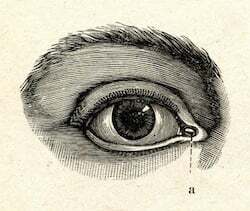 Mention of these types of diseases is supposed to alert the staff to a possible blindness case. Even though the field staff at the local Social Security office may be able to relate a disease to a case of vision loss it is important to disclose vision loss to the Social Security Administration. Second, a person seeking to obtain disability for statutory blindness cannot use the concept that their visual acuity, "equals" Social Security's definition for statutory blindness. Instead, the requirements of Social Security's definition of statutory blindness must be "met." What is the difference between "meeting" the listing and "equaling" the listing? To "meet" a listing, the condition of the person must match exactly the criteria of the listing. On the other hand, to "equal" the listing, a person is allowed to have conditions which are considered medically equivalent to the conditions set out in the listing although those conditions may not match exactly. Third, for Title II purposes, in order to establish statutory blindness, a person must provide documentation of the cause for the blindness. It is worth noting that the Social Security Administration thinks that normally, a standard eye examination will demonstrate the cause of the lost of visual acuity. Fourth, for Title II purposes of a person under age 55, there is a 12-month duration requirement. That means that the statutory blind person who is seeking disability must have had the sight lost required under the ruling for 12 months. Even if the Listing is not met, it is still possible to receive Social Security disability benefits. Once it is determined that the Listing is not meet, then the Social Security Administration will access the most a person can despite the visual impairments. This is called a residual functional assessment or "RFC." Once the RFC has been created the Social Security Administration will determine whether that person is capable of preforming the work he or she did in the last 15 years. If the answer to that analysis is that the person is not capable of performing his or her past work, then there is one final step. That step determines whether the RFC will permit that person to perform any other job that may exist in significant numbers in several regions throughout the country. If the answer to that analysis is that jobs do not exist in significant numbers in several regions throughout the country which will accommodate the RFC then the person will be awarded disability.